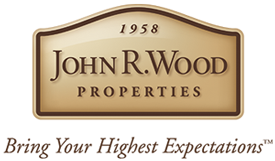 John R. Wood Properties is proud to announce that Realtor Jean Williamson has joined our team of professional Realtors. Jean is from Litchfield County, Ct with roots in New Hampshire, and upstate New York. Although Jeanne was trained as an air traffic controller, she flourished in business, running all aspects of a building supply company. Jean has called SW Florida for over 30 years and prides herself in knowing all aspects of the Real Estate Market she serves. From Island sales to new construction, golf communities, as well as the historical downtown Fort Myers area, you can count on Jeanne to be your guide and help navigate through transactional complexities. Jean has received national recognition for production awards and is a Graduate of the Prestigious Realtors Institute (GRI). Jean subscribes to “Service the Objective and Integrity the Creed” and her people love her. “I have great customers and it is such an honor to get their recommendations”, says Jeanne. When Jean is not selling Real Estate she enjoys, golf, boating, fishing, gardening, shelling and Dachshunds!